First Lines: I should have known. I should have known the minute I went to get my favourite White Stripes pepermint tee and found it not in the drawer, but temporarily forgotten in the back of my closet, curled up in a crusty ball. 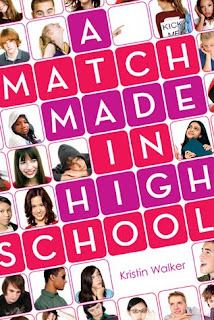 A few other blogs had this in their IMM a little while ago and after a friend on the Good Reads website recommended it, I couldn't wait to read it. 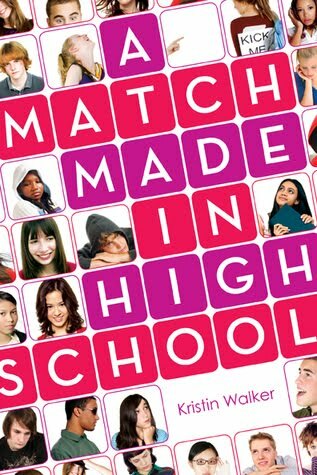 A Match Made in Highschool was entertaining and funny and I read this in one sitting. Fiona is a very lovable character. She is kinda nerdy but not afraid to give her opinion and tell it like it is. I found myself at times laughing out loud with her witty comments and narration and especially loved the verbal fights between her and her "Husband". Marcie and Johnny are lovable characters and I couldn't help liking Fiona's "husband" too. It's definitely a cast full of amusing characters. The only thing that is a little far fetched was the whole Marriage thing but that's what makes this book such a great read. I mean if I was put in that situation and stuck with a so called jock well.. I'd imagine myself taking the same road as Fiona. All in all this is definitely a light funny read that I would recommend to everyone! Edifying and Edgy: Giveaway of the Mortal Instruments Trilogy. Enter before 1st July. 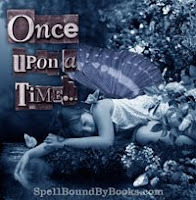 The Trick Is To Keep Breathing - Writing Blog of Tori from Book Faery. Booklife- Strategies and Survival Tips of the 21st-Century Writer. Omnific Publishing- How do I know if my manuscript is ready for submission? Fable Croft- Judging a book by it's cover. The Book Smugglers- On the Smugglers Radar. Some cool looking books listed here. This week I didn't get anything for my IMM so I've decided to do a Weekly Wrap Up of what has happened with this week. First Lines: Obscene graffiti. Smashed windows. Human Crew tags, their logo, along with warnings to freaks to get out. Lies is the Third book in the Gone Series. 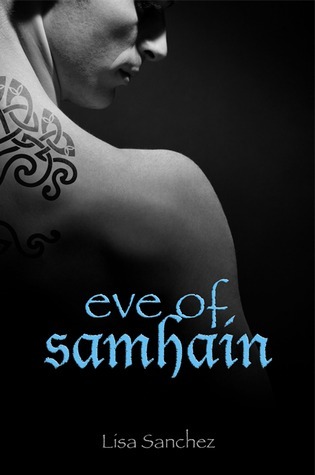 I really enjoyed the previous two books and was somehow hoping this would be the final book in the series (since I didn't look up how many books are in the series I was clearly wrong) but as it turns out theres yet another book. Plague coming out in 2011. So I was kind of disappointed with the ending. I'm not saying the ending was bad but it left me hanging. Like Gone and Hunger, Lies has numerous characters telling the story. It's necessary though because it shows what's going on in the FAYZ. I found it hard in some parts reading it because I really believe this sort of thing would happen if the adults actually did disappear. Obviously not the super powers bit but the struggles that each character faces and the darkness that surfaces in each of them. Add to that the lack of food and water, the loss of patience with eachother it's shocking to know what those would do when things become dire. So, as you can tell I was really sucked into this one. Apart from the fact I was kind of disappointed to find this wasn't the last book, I also noticed that there were a number of things that were left hanging at the end. 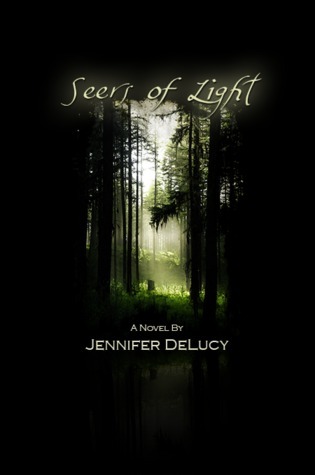 While I did enjoy reading this book I found it was more to set the scene for the next book. For those of you that like dystopian YA this series will be for you! Okay people!! Deadline two is coming up. Everyone who still has to enter their stories still has about 4 hours left to do so. Unfortunately for me I've failed to finish my story this time! It's not for the lack of trying either. I just couldn't end it. So I've decided to add a story I did a while ago for Readers on Deadline at Deadline Dames. It is only short but it's better than the one that I've tried writing lol. Jake thought it was cruel that I’d pester the living when they walked past the orphanage. When one got close enough I’d breathe down their neck and watch them cringe and pull their jackets tighter. Sometimes I would let them walk through me. Jake didn’t understand. It was his choice to leave the world of the living. Me? I didn’t know what hit me, literally. One minute I was walking down the street, the next I was looking at myself mangled underneath a car. By the time I worked out what had happened the light had gone and I was stuck with Jake. Once you missed the light, you had a pretty hard time getting that one way ticket to the next world. I guess I felt a little ripped off. In all the time I had known Jake, not once had I ever seen him cry, until now. I hope you liked this. It was written from a photograph that was posted for ROD and while I didn't win I had lots of fun writing it! UPDATE: For those of you that missed out on the deadline last night, I've decided to go for one more day. So you all have until tonight at 12 AEST (Friday) to get your stories in. This week I've picked a couple. 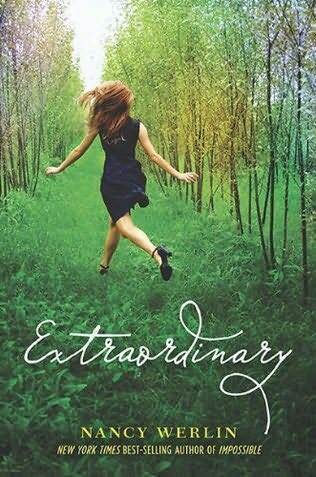 First one up is Extraordinary by Nancy Werlin. Release date is 7th September 2010. I just absolutely love this cover!! 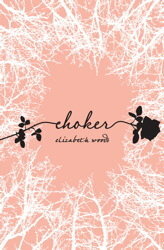 My second pick for this week is Choker by Elizabeth Woods. 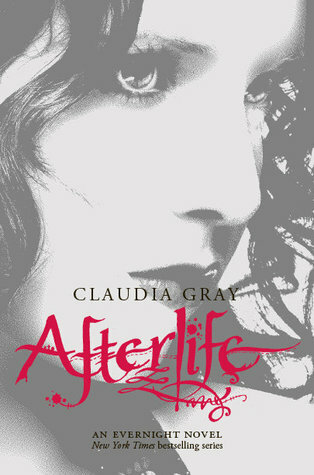 This one's not out until the 4th January 2011 and I really can't wait. You can never be sure who you can trust, even your best friend. A new thriller! That's all I have on this one but it sounds good!! Okay that's my Waiting on Wednesday for this week! What did you get? Just wanted to let you guys know that I'm featured over at Book Crazy for Music Monday run by Jenn! Crazy Book Tours : An Adult Fiction, Non-Fiction, and Memoir Tour Site for Book Bloggers! 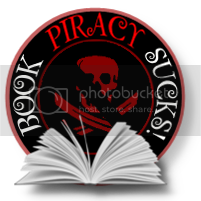 A Fanatic Book Blog: Me Monday Feature. Awesome go check it out! 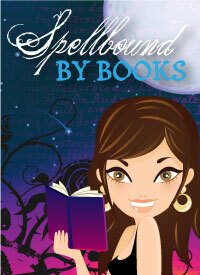 Book Club Girl: Dedicated to sharing great books, news and tips with book club girls everywhere. Book-Crazy: Music Monday. For more info click the link! This is just a short one this week as I'm writing my little contribution for the Once Upon a Time Project. Which reminds me, theres only a few more days until deadline to get your stories in. Don't miss out on a chance at winning a really great prize!! 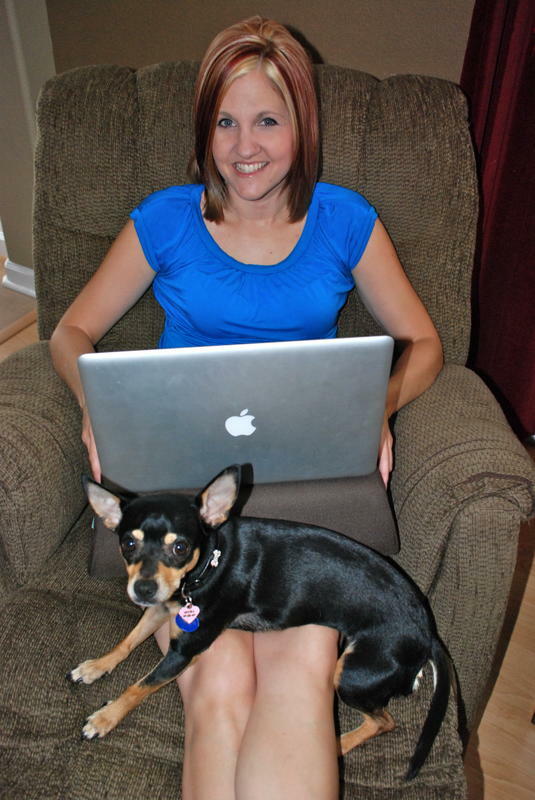 Also Larissa over at Welcome to Larissa's Bookish Life has a very cool creative writing contest called Doing It Write. You can find out more by either clicking on the link above or on the button on the side bar. First Lines: I can tell you right now, it's all Karma's fault. Yes, Karma. You know, that unmistakable force in the universe that makes sure good deeds are rewarded and bad deeds are punished. I've been waiting for this book for some time and was excited to finally get it in the mail!! I absolutely loved the cover and couldn't wait to read it. This was a great read but I have to say right from the start, the book trailer kind of spoiled it for me. Don't get me wrong I really loved the trailer but I also like to find out what's going on when I read a book (so that it's a surprise) and I found that the trailer gave away a fair bit of what happens in the The Karma Club. The characters were great and the story line, while it wasn't unique (for me), it does give a different perspective of the whole 'lets get revenge' sort of thing. I could totally relate to Madison, Angie and Jade and if I found myself in highschool all over again, I would probably at least give one or two of these things ago, just to help Karma out a bit lol. Overall, if you haven't watched the book trailer, don't. Wait until you've read the book to get the full effects. 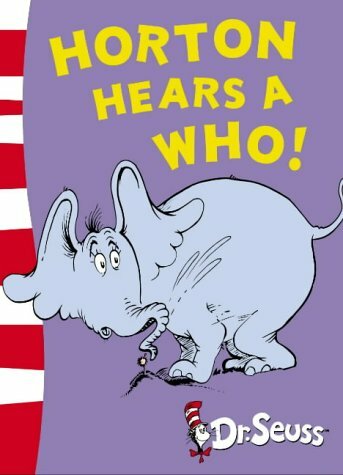 This is a funny read that I think everyone could relate to in some way or another. Thanks heaps to Stella at Ex-Libris for sending me this awesome pack!! I set out to read this to him hoping I'd finish before he lost interest. We got halfway through before Cruzito wanted to grab the book and flick through it on his own. It was quite funny because towards the end he kept saying "No, No, No." I'm not sure whether this was to stop reading or keep going? Question for this week: What are you all reading at the moment? 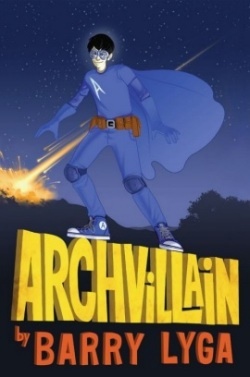 Thank you everyone for entering into the Archvillain ARC Giveaway, and a BIG THANK YOU to Barry Lyga for sending me a copy of Archvillain to do the giveaway!! I've sent you an email. Please get back to me as soon as you can with your address! Hey all. It's Week 2 of OUAT Project. How is everyone doing?? Okay first up I'd like to add one more item to the First Prize. 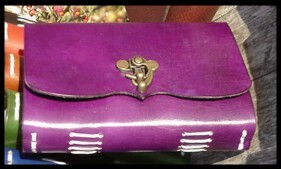 While I don't have a pic of this exact journal, below is what it will look like. Except the colour will be smoky green. So not only will you receive one lovely smokey green hand bound journal, but also a Signed copy of The Pace and $30 e-gift voucher at Barnes & Noble for the first prize!! Some motivation to help you write! List of books on writing and exercises mentioned in the prompts. This week I've chosen Last Sacrifice by Richelle Mead. This is the last book in the Vampire Academy series and will be out 7th December 2010. I can't wait to find out what's in store for Rose and her friends!! 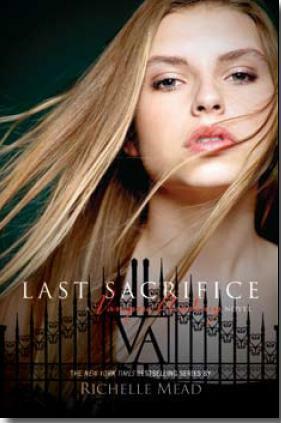 Last Sacrifice will be the last book about Rose, but it'll be followed by a spin-off series still set in the Vampire Academy world. Side characters we know from the current series will now be our main characters, and there'll be a whole new storyline (not the last one told from a different perspective). So far, there is no title or release date info for the new series. Expect it in 2012. Stella from Ex Libris has got a cool event happening right now. It's called Spotlight on.. You can see what it's all about here. First up is Thriller week and runs from 14th - 20th June. If you click here you will find whats been scheduled for this. 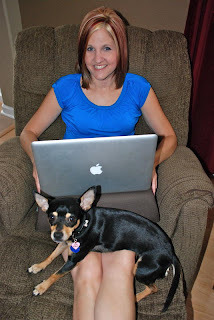 You can also see my very first Guest Post here. I hope you all enjoy Stellas awesome event. There will be reviews, guest posts and giveaways so go check it out!! 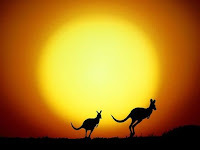 Thought Note Chronicles: Blog about thoughts and stuff about family, life, interests and being an expat; in chronological order. 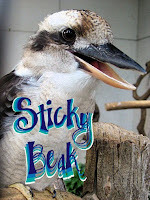 Booktopia Blog: 10 Terrifying Questions. Check these Authors out! Absolute Shakespeare: Read his work online. Book Magic: Check out Deb's new blog design. Very Pretty! Uncommon Goods: Great shop for all sorts of things. Check it out. Thank you to Amanda at Manda's Movements for this totally awesome award! So with this Award comes a little challenge for the Bloggers receiving this. 1. Get really excited that you got the coolest award EVER! Yay! Woohoo! (c) Write a "Soundtrack of your childhood" post. (d) Make your next blog a 'vlog'/video blog. Basically, you're talking to the camera about whatever. 3. 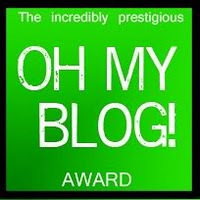 Pass the award on to at least three, but preferably more, awesome bloggers. Don't forget to tell them. Okay, I originally chose to make a vlog and I had maybe 20 attempts (No I'm not exaggerating lol) at doing this but in the end chose to write about my most embarrasing moment. Anyways I proceeded to ask 'Henry' how his family was and what not, to which he replied yeah good blah blah blah. When I asked how a particular person was, Henry looked at me strangely and said "Who?" So I may have said "Your brother you trippa"(Let me point out now, that not once did Henry tell me he didn't know me). Long story short I had Henry pull out his drivers licence to prove he wasn't who I thought he was (because I thought he was having me on) and it turns out that I just hugged and had a meaningful conversation with a stranger. I asked him why he didn't tell me he had no idea who I was and he said, "I just thought you were a nice chick and putting the moves on me." So as elegant as I was, I said, "Well, don't I feel like a *insert inappropriate word here*. It was nice chatting Henry but I think I need another drink" And walked off to the bar red faced. So anyways back to handing out awards. Here are my picks! City of Bones by Cassandra Clare (Book One of The Mortal Instruments) Yes again, last on the bandwagon for this one lol. Note: The illustrations are just beautiful.